The watery, grey, dismal… gasm. You probably gathered from yesterday’s 13 of 52, that the photographic pickings are pretty slim at the moment. It’s grey, windy, horrible — there’s about two hours of good daylight if I’m lucky, which makes photo-shootin’ pretty hard. I’m reduced to internal and low-light stuff now, unless the clouds clear and we get some nice, clear, wintry afternoons in the following weeks. But that’s OK — I haven’t done any night-time photography in ages, and trying to get the most out of overcast afternoons is my forte! (By virtue of living in overcast England…) That doesn’t mean the results are very good mind you — it just means that you get something rather than nothing. But you can see the photos in a little bit and decide for yourself. Today, just to ram a nail in the coffin no doubt, it pissed down. 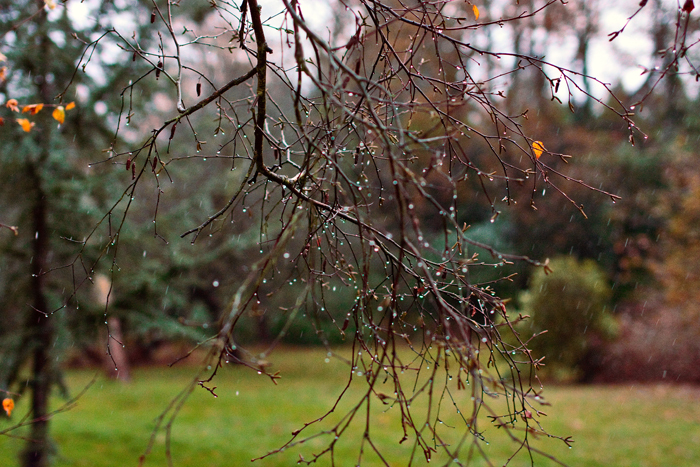 Real rain — not the horizontal kind that we usually get. Just WHOOMPF, bouncing off roofs and roads and cars. The thundering pitter-patter that drowns out music and scares the cat. But who cares! 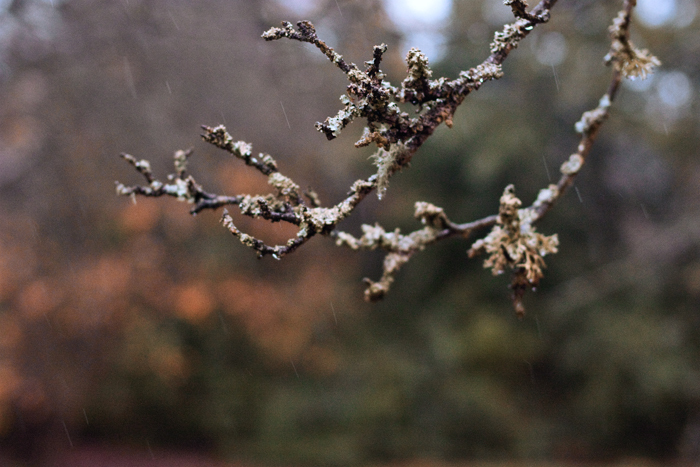 Vertical rain meant I could get my camera and umbrella and go for a walk! So in the name of art, and wanting to stretch myself a little, I give you ‘Catching Rain’. 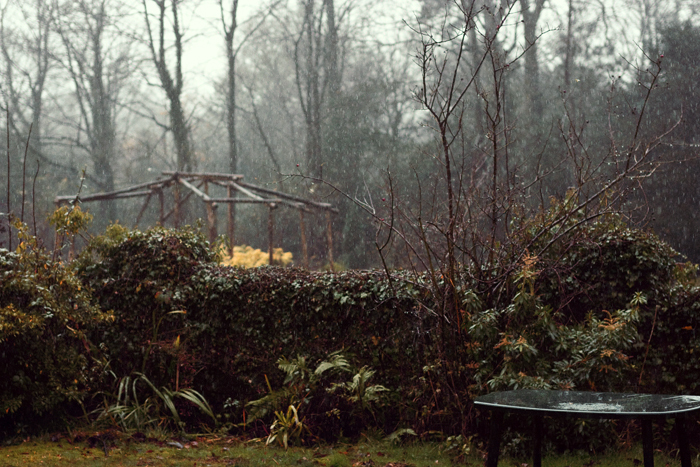 A series of images depicting England under the veil of cloud and assault of rain. If I’ve done my job right, you should feel like you’re being gently hit by soft, snow-like rain as you look at the following photos. As always, hover over a photo to see my notes. Which one looks better…? I’m actually torn between them. Both look great. 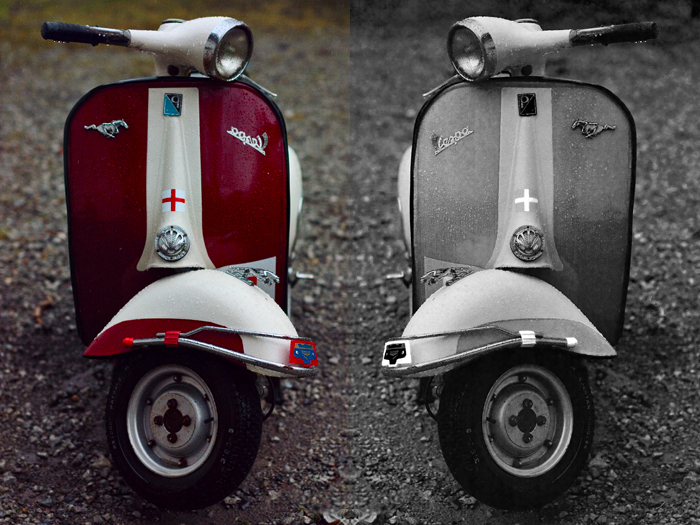 Let’s just pretend there are two Vespas and this here is a diptych of them both…! I really want a Vespa…. Do you have one of those hats that is actually an umbrella? is that how you take these?. If you don’t then you should almost certainly get one. V nice capture of the Great British Weather!. Awesome pictures! I like the first one the best. And of the Vespas- I’m a sucker for black/white. The rain has put a downer on my photo activity as well. It may as well be getting dark by three in the afternoon at the moment. re: hats/umbrellas — have thought about an umbrella hat. Probably quite a good idea for every-day use, but not great for protecting lens + protuberance. You were waiting for a beautiful clear day, and these are some of the best pictures I’ve ever seen you post! Well, thanks! I try to appeal to everyone. I guess you like rain…! I LOVE rain! I’m from the Seattle area… and I can’t get enough. Definitely rainy. Lovely place, Seattle. It really is! I go to school on the eastern side of Washington… which is UGLY and DRY and COLD haha, not a huge fan. Coming home is like a present. the picture on the top is very cool. Damn i don’t know why someone who likes the rain that much lives in Turkey. Btw, the Grey Vespa looks better. Ah, I love the rain. It was raining here tonight for a couple hours–actually genuinely pouring for maybe 15 minutes, not the spray/heavy misting (with the sun still shining) that we usually get. 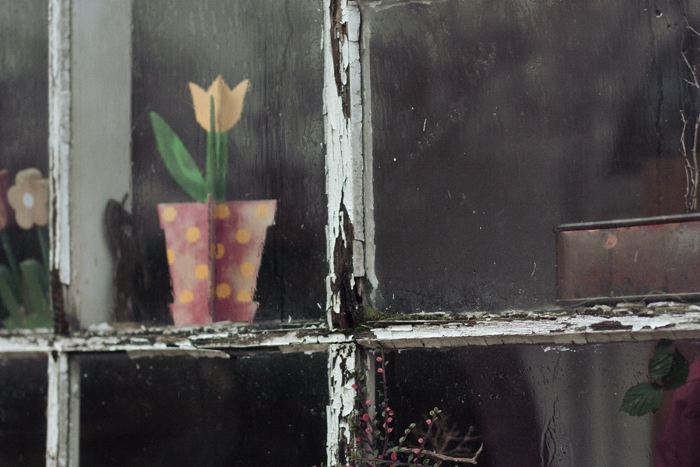 I like the one with the old window. 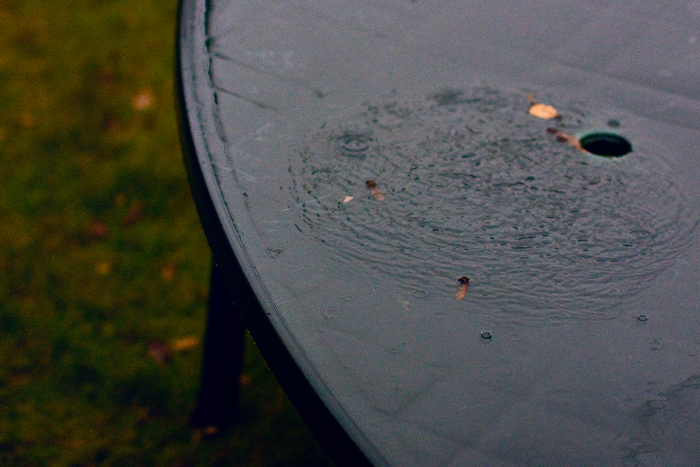 I really like numbers 3 and 4…kind of nice to see rain, especially since it hasn’t really rained all over here in L.A. I absolutely loooove these. They make me want to go curl up in front of my fireplace with a nice hot cup of tea and read a book.